Our firm is proud to announce that attorney Kristen Lonergan has once again been named to the list of 2016 Wisconsin Rising Stars. This is Ms. Lonergan’s fourth time receiving this honor, having previously been named to the Wisconsin Rising Stars list in 2012, 2014, and 2015. 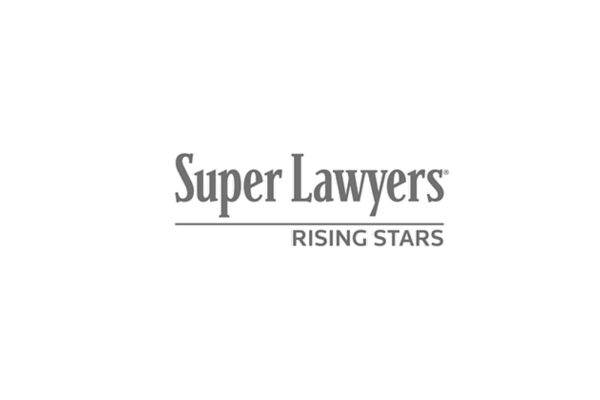 The Rising Stars list is published by Super Lawyers, a Thomson and Reuters business that is among the most well-recognized attorney ranking organizations in the United States. Less than 2.5 percent of all lawyers in Wisconsin are named to the Rising Stars list, with inclusion based upon attorneys’ peer recognition and professional achievement. With other Super Lawyers rankings recognizing achievements of attorneys at all stages of their careers, the Rising Stars list recognizes exceptional attorneys who are either 40 years old or younger or who have less than 10 years of legal experience. Licensed to practice in the Wisconsin state courts and the United States District Court for the Western District of Wisconsin, Ms. Lonergan has quickly earned a reputation as an aggressive litigator and faithful advocate for her clients. She has extensive experience in civil matters, and regularly represents clients who have suffered serious injuries in claims for financial compensation. Her experience also includes representing clients in family and employment law matters, workers’ compensation claims, and insurance coverage disputes. In addition to recognition as a Super Lawyers Rising Star, Ms. Lonergan has previously been named as an Up and Coming Lawyer by the Wisconsin Law Journal, and she maintains a “Superb” attorney rating on Avvo.com. Beyond her personal injury and family law practices, Ms. Lonergan is heavily involved in the local Wausau community. While serving as a Director and as a recent Past-President of the New Lawyer’s Section and actively participating in the Women’s Caucus for the Wisconsin Association for Justice, in addition to remaining heavily involved in the State Bar of Wisconsin Mock Trial program, Ms. Lonergan also serves on the Board of Directors of and is the immediate Past-President of Kids Voting USA of Marathon County and as Secretary of the Board of Directors for the Marathon County Child Development Agency (Head Start). If you would like to speak with Ms. Lonergan about your case, feel free to contact Crooks, Low & Connell, S.C. and request an initial consultation. You can call us at (715) 842-2291, or submit a consultation request online and we will get back to you as soon as possible.